The name means ‘Old Farm’. From about 1250 Hendre was held by the ancestors of the Lloyd family that later resided there. They were descended from the chieftain Gwynfardd Dafydd. David Moyl was referred to in the parish in 1355. Robert ap Dafydd Foel was described as being of Hendre and probably settled here in the latter part of the 14th Century. He was succeeded by his son, Ieuan Lloyd and Ieuan Lloyd was succeeded in turn by his son, Philip Lloyd. Philip Lloyd’s son, Gwilym or William Lloyd, was the next to occupy Hendre. On 14th November 1442 William Lloyd of Hendre, son of Philip Lloyd and Margaret verch William, was granted the privilege of having a portable altar upon which to celebrate mass – with the agreement of Pope Eugenius IV. William Lloyd was a descendant of Iuean Lloyd David Foel. David Foel was the son of David, son of Owain, son of Einon, son of Gwrwared, son of Gwilym ap Gwrwared. Gwilym or William Lloyd had two sons – Philip Lloyd, the elder, succeeded to Hendre. Philip Lloyd was succeeded by his son, Ieuan Lloyd. Hendre was recorded to in 1524 as “Y Renreff”, occupied by Jankyn ap Ieuan ap Philip Lloyd. Jenkin Lloyd married Agnes, daughter of Griffith ap Howel ap David ap Thomas of Gwernan, Cardiganshire. This Jenkin Lloyd was reputed to be the last person to be interred at St. Dogmaels Abbey before the Dissolution. His son, John Lloyd, succeeded to Hendre and married Elizabeth, daughter of Rhys Vaughan ap Rhydderch of St. Dogmaels. In the mid 16th Century Owen Lloyd, a younger son of Hendre, settled with his wife, Jane, daughter and co-heiress of David ap Gwilym ap Perkin, at Cwmgloyn, Nevern. On 25th February 1562 John Jenkin Lloyd of Hendre wrote his will. After his death, before 23rd April 1562 Hendre passed to his son, Rhys Lloyd, who sold Hendre to his cousin-german, John Llyd of Cwmgloyn. Following the death of George Owen in 1613, his widow, Ancred Owen, paid off £60 to John Lloyd of Hendre, who had married Mari Owen, daughter of George Owen. In 1623 John or Ieuan Lloyd was the Sheriff of Pembrokeshire. He was married, before 1588, to Jane, daughter and heiress of Evan ap Llewelyn ap Ieuan Gwyn of Panterlys, Llandygwydd, Cardiganshire. In 1638 John Lloyd of Hendre died. His daughter, Elizabeth Lloyd, married John Morgan of Rhydgarnwen, Llantood. On 19th August 1639 a post mortem examination was conducted at Newport Castle into the estate of the late John Lloyd of Hendre. In 1670 one John Lloyd of St. Dogmaels was assessed at 2 hearths for the Hearth Tax – probably for Hendre. In 1714 the Lloyds still owned Hendre. In 1733 probate was made of the will of Evan Watkin of Hendre. In 1744 an old house that had once been a chapel here, was converted into a cow-house by T. Lloyd. Circa 1759 Elizabeth Mathias, daughter of Daniel & Rebecca Mathias, was born here. In 1764 Daniel Mathias of Hendre became a warden of St. Thomas’ Church. In 1773 probate was made of the will of Daniel Mathias of Hendre. He referred to his wife; brother James Mathias; Evan Harry; daughter Elizabeth Mathias; John Harry; Evan Abraham; Robert Abraham; David William; brother Lazarus Mathias; and David Rees. Circa 1775 Hannah Mathias was born here, the daughter of James & Elizabeth Mathias. In 1779 Thomas Mathias lived here. In 1784 James Mathias of Hendre became a warden of St. Thomas’ Church. In 1786 Major Lewis of Clynfiew purchased Hendre. In 1786-88 Thomas Lewis leased the farm to James Mathias. On 17th February 1789 James Mathias of Hendre, a devout Baptist, wrote his will. He referred to his “…present wife…” Elizabeth Mathias and his daughter, also Elizabeth Mathias, and left provisions in his will to assist Blaenwaun Baptist Chapel. He died the same year. In 1790-93 John Evans, perhaps a son of the farmer of Tir Ion, was the tenant, having married the widowed Elizabeth Mathias. In 1790 John Evan became a parish constable. On 31st December 1792 the younger Elizabeth Mathias of Hendre married Joseph Rees of Nevern and the couple lived here. In 1794-1803 Joseph Rees was the tenant. Circa 1794 Elizabeth Rees was born here, the daughter of Joseph & Elizabeth Rees. In 1795 local Baptists met here twice a month. In the late 18th Century Elizabeth Evans lived here. In 1796 Mary Rees was born here, the daughter of Joseph & Elizabeth Rees. In 1801 Joseph Rees of Hendre was a Deacon of Blaenwaun Baptist Chapel. In 1803 Ann “Nancy” Rees was born here, the daughter of Joseph & Elizabeth Rees nee’ Mathias. On 7th July 1803 Joseph Rees of Hendre wrote his will. He referred to his wife Elizabeth Rees, and to Rees Rees of Granant. On 10th July 1803 Joseph Rees of Hendre, died aged 33. In 1805-31 Rev. David Phillips lived here. On 24th January 1805 Rev. David Phillips, who had married Elizabeth Rees, the widow of Joseph Rees, became the Minister of Blaenwaun Baptist Chapel and lived here until his death in 1831. On 17th April 1807 Phoebe Phillips, daughter of Rev. David Phillips & Elizabeth Phillips, was born here. In 1809 David Benjamin, Francis Evan and Thomas Oliver lived here. On 15th May 1809 James Phillips, son of Rev. David Phillips & Elizabeth Phillips, was born here. On 15th September 1811 Benjamin Phillips was born here, the son of Rev. David Phillips & Elizabeth Phillips. The same birth date was given to Levi Phillips of the same parentage – were they twins or the same person? Levi Phillips was later a draper in Cardigan. On 2nd July 1813 Rev. David Phillips’ cart overturned, killing a servant. On 4th August 1814 David Phillips was born here, the son of Rev. David Phillips & Elizabeth Phillips. On 18th July 1816 Jonathan W. Phillips was born here, the son of Rev. David Phillips & Elizabeth Phillips. On 10th February 1820 Mary Rees, daughter of the late Joseph Rees, married Thomas Williams, tanner. The Manorial Courts of Hendre alias Granant were held here up to 1821. In the Spring of 1822 Rev. David Phillips accompanied three of his congregation on the “Active” of Cardigan, sailing to Cardigan Settlement at Frederickton, St. John’s, New Brunswick, Canada. He returned in the Summer. On 27th January 1823 Anne Rees, 4th daughter of the late Joseph Rees, died aged 20. On 3rd February 1823 Benjamin Phillips, son of Rev. David Phillips, died aged 11 of typhus during an epidemic. In 1826 Rev. David Phillips owned shares in the 40 ton Cardigan ship ‘Ann’. On 6th November 1829 James Phillips, son of Rev. 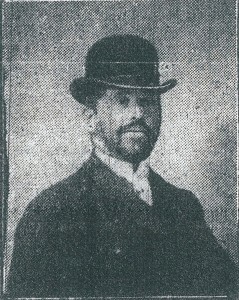 David Phillips, married Letitia Phillips of Penralltceibwr. On 20th August 1830 David Phillips of Hendre wrote his will. He referred to his wife Elizabeth Phillips; son Jonathan Phillips (who inherited Trenewydd); son David Phillips, a minor; and son James Phillips, a minor. Rev. Dafydd Phillips died on 15th July 1831 aged 59. On 27th February 1834 James Mathias Phillips, son of James & Letitia Phillips, was born here. On 10th January 1836 John Phillips, son of James & Letitia Phillips of Hendre, died aged 14(?months?). On 18th January 1838 James Mathias Phillips, son of James & Letitia Phillips, died aged 4. On 27th February 1838 Elizabeth Phillips, daughter of James & Letitia Phillips, died aged 6. In 1838 the 254 acre farm was owned by Thomas Lewis and leased to John Phillips. On 20th October 1838 James Mathias Phillips was born here, the son of James & Letitia Phillips. In 1839 David Phillips, son of the late Rev. David Phillips, married Mary Ann Owen. In 1841-49 James Phillips lived here. In 1841 Jonathan W. Phillips of Hendre married Anne Rees (and they emigrated to New York in 1851). In 1841-53 Mrs. Letitia Phillips lived here. In 1841 the following persons lived here: James Phillips, 30; Laetitia Phillips, 30, his wife; Leah Phillips, 10, their daughter; James Phillips, 2, son; Servants – Thomas Lewis, 20; Thomas Thomas, 20; Margaret Evans, 30; Mary Morgan, 20; and Elizabeth Howell, 15. On 9th November 1841 Thomas Lewis, husbandman here, married Ann Samuel of Pengraig. Circa 1844 Elizabeth Phillips was born here, the daughter of James & Letitia Phillips. On 25th December 1844 Elizabeth Evans of Hendre died aged 69. In September 1846 John Milton Phillips was born here, the son of James & Letitia Phillips. In 1847 David Phillips, son of the late Rev. David Phillips, emigrated to the U. S. A.. On September 3rd 1848 Leah Phillips, daughter to James Phillips, became the first person to be baptised in the new Gerazim Baptist Chapel. In 1849 James Phillips, a Deacon of Blaenwaun Baptist Chapel, died aged 40. A new farmhouse was probably built about the year 1850. In 1851 the following persons lived here: Letitia Phillips, 42, farmer of 272 acres; Leah Phillips, 21, her daughter; James Mathias Phillips, 12, son; Elizabeth Phillips, 7, daughter; John Milton Phillips, 4, son; and 6 staff. On 8th July 1852 Leah Phillips, 23, daughter of the late James Phillips, married Joseph Rees, farmer of Gernos, son of Daniel & Eleanor Rees. On 12th November 1853 Letitia Phillips, 44, widow, married John Rees, 34, merchant of St. Dogmaels, son of William & Martha Rees of Granant Isaf. In 1853-1900 John Rees, land surveyor, lived here. 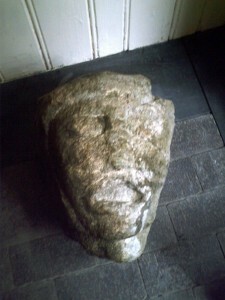 In August 1859 a stone head found in a wall here, was displayed in Cardigan. In 1861 the following persons lived here: John Rees, 41; Letitia Rees, 51, his wife; and their servants – Margaret Owens, 28; Margaret Morgan, 17; Walter White, 27; Daniel Nicholas, 18; and David Davies, 16. In 1864 a description of the building believed to have been a chapel here, was written by Rev. Henry James Vincent in “Archaeologia Cambrensis”. Its walls were 19ft long by 15ft wide and 9ft high. Circa 1866 Elizabeth Phillips, daughter of Letitia Rees (formerly Phillips) of Hendre, married J. A. G. Evans of Cardigan, solicitor. In 1871 Hendre was the home of John Rees, 54; his wife, Letitia Rees, 62, and their servants – David Thomas, 36; David John, 19; William James, 16; David James, 14; Margaret James, 45; Martha Griffiths, 21; and Eliza James, 19. In 1881 the following persons lived here: John Rees, 61, farmer of 273 acres; Letitia Rees, 72, his wife; Owen James, 35, farm servant; William Williams, 25, servant; William Shelby, 17, farm servant; Henry Johnson, 16, farm servant; David Rees, 17, farm servant; David Rees, 17, farm servant; Janet Davies, 13, farm servant; Elizabeth Evans, 16, servant; and Anne Williams, 16, servant. On 10th February 1884 John Milton Phillips, son of the late James Phillips, died in Cardigan, aged 37. On 28th January 1886 Letitia Rees died aged 77, and was buried beside her first husband, James Phillips. In the late 1880’s Hendre was occupied by John Rees, William Bowen, John James, Margaret Morris and Thomas James. On March 13th 1889 Hannah Williams of Hendre and the Cardigan Union Workhouse was buried at St. Dogmaels, having died aged 39. In 1891 the following persons lived here: John Rees, 71, farmer; John Davies, 18, servant; Alfred Rowlands, 18, servant; D. Ladd Davies, 17, servant; William Bowen, 15, servant; Mary Davies, 70, housemaid; Ann Harries, 50, dairymaid; Lizzie Jones, 20, servant; and Mary Morris, 17, servant. In September 1891 John Rees, then turned 70, married Catherine Watkins, 33. In 1893 Willie Reeswas born here, the son of John & Catherine Rees. In 1894 John Rees and David Daniel lived here. On 8th July 1894 Joseph Watkin Rees was born here, the son of John & Catherine Rees. In June 1896 Benjamin Rees was born here, the son of John Rees (then in his 70’s!) & Catherine nee’ Watkins. On 3rd August 1900 John Rees, Deacon of Blaenwaun Baptist Chapel and Gerazim Baptist Chapel for more than 50 years, died aged 80. In 1901 the following persons lived here: Catherine Rees, 43, widow, farmer (b. Nevern); Willie Rees, 8, her son; Joseph Watkin Rees, 6, son; Benjamin Rees, 4, son; John Williams, 65, uncle, farmer (b. Meline); William Bowen, 65, cattle man (b. Newport); John James, 53, widower, agricultural labourer (b. Bayvil); David Williams, 22, agricultural labourer (b. Moylegrove); Thomas Williams, 17, agricultural labourer (b. Moylegrove); Ann Bowen, 50, widow, domestic servant; Frances Griffiths, 25, dairy maid (b. Moylegrove); Amilia Ashman, 19, servant (b. Sussex, English-speaking); and Catherine Evans, 17, general servant. Except where noted otherwise, all were St. Dogmaels born and Welsh-speaking. On 16th August 1901 the estate was advertised for sale. In 1904-19 John Hughes Perry lived here. On September 21st 1904 John Hughes Perry, 27, marine engineer, married Dora Abigail Morgan of Church House, St. Dogmaels. William Phillips was the farmer in 1904-13. On December 1st 1905 Lawrence Ebenezer Perry of Hendre, a Boer War veteran, was buried at St. Dogmaels having died aged 25 on 28th November 1905. In 1907 William Phillips had the roof of Monington Church repaired at his own expense. In March 1911 the 273 acre property was advertised to let. In 1911 the following persons lived here: William Phillips, 75, farmer; William Thomas, 22, horse-man on farm; James Isaac, 21, horse-man on farm (b. Cardigan); Jacob Davies, 28, waggoner on farm (b. Cardigan); John James, 16, cowman (b. Llangoedmor); David Griffith Llewelyn, 16, shepherd; Margaret Morris, 48, dairy maid (b. Nevern, Welsh-speaking); Mary James, 24, servant (Welsh-speaking); and Jenny Davies, 20, servant (b. Aberdare, Glamorgan, Welsh-speaking). On 29th March 1913 William Phillips of Hendre, formerly of Trerees, died aged 77. On 1st October 1913 J. Phillips Perry was born here – the son of Mr. & Mrs. John Hughes Perry. On November 10th 1915 Rachel Thomas, 22, of Hendre, daughter of labourer John Thomas, married John James, farm servant of Penallt Ceibwr, St. Dogmaels. On 31st August 1917 John Hughes Perry of Hendre bought Penally, St. Dogmaels. Hendre was advertised for sale on 14th February 1919 with 265 acres, occupied by Mr. W. J. Perry. In May 1919 Benjamin James of Bayvil acquired Hendre and was the farmer in 1919-27. On 4th April 1927 Benjamin James of Hendre died aged 67. In 1934 Lawrence James lived here. In 1937-54 Mrs. Margaret James lived here. On 12th June 1954 Lawrence James, farmer here for over 30 years, died. He was a widower, but his mother, Margaret James, survived him. In July 1954 Mrs. Margaret James died aged 88. On 3rd November 1954 there was a clear-out sale here. In 1955-69 Thomas Williams lived here. In 1961 Richard Rowland Haydn Williams was the farmer. In 1961-63 H. Williams of Hendre was selling sand and gravel. On 8th September 1967 the 7-bed farmhouse and farm with 265 acres was advertised for sale. In 1978 Francis Jones noted clearly medieval features in the cow-house referred to by Rev. Henry James Vincent. In July 1997 Hendre Fawr was advertised for sale with 15 acres. © Glen K Johnson 17/08/2013.